P just turned 4 months old on the 24th... CRAZY!! Time is passing WAY too fast but on the other hand it is getting closer to Travis coming home (70 days +/- a few but who's counting?). 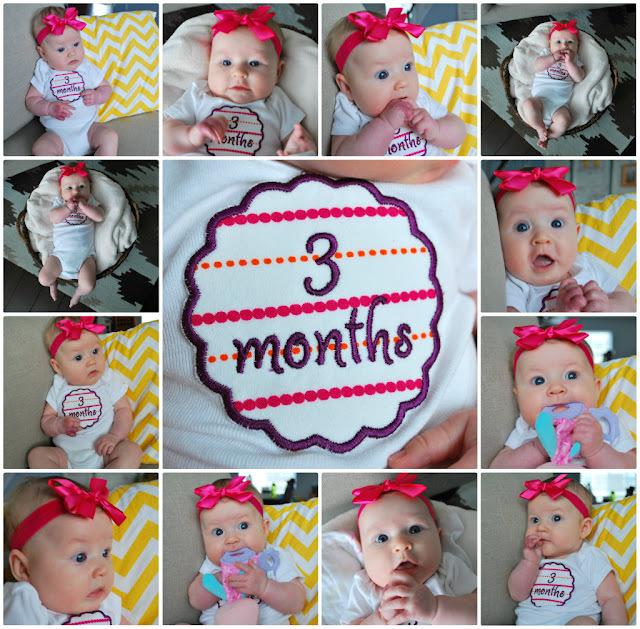 Here are some pictures of Miss P's adventures during her 3rd month of life. She is getting super fun and doing some super fun things now so it is always exciting to see what new thing she will do each day. Of course, on her 3 month birthday we had our little photo shoot. 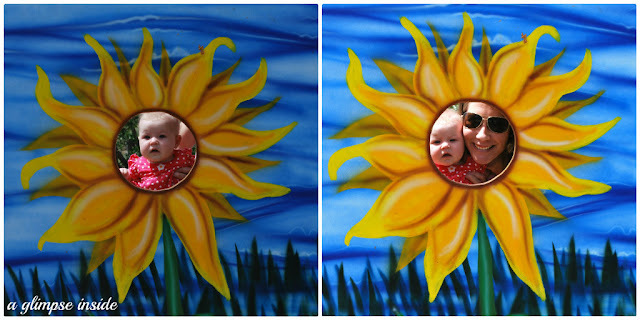 We went down to a farm for a Sunday afternoon and went apple picking. We had to stop and take a picture as sunflowers while we were there. 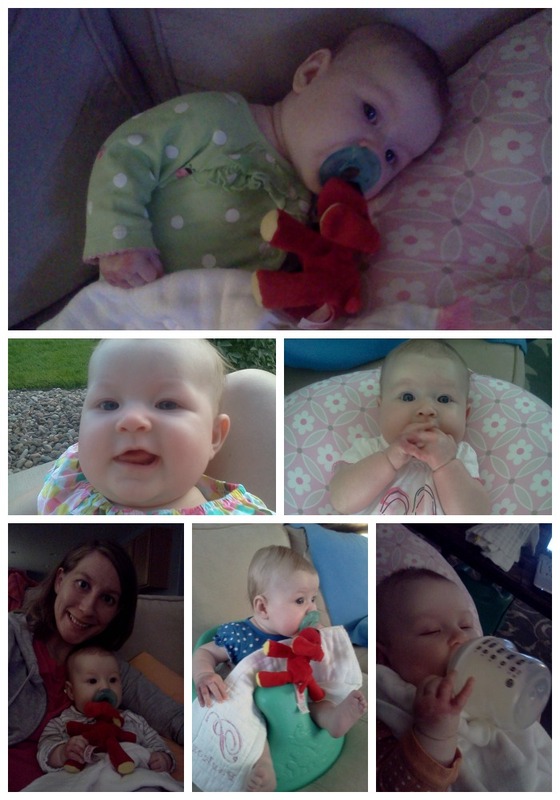 She holds her bottle every so often now. She became ALL about her hands in her mouth at the beginning of month 3. She loves to sit up in her Bumbo. She enjoys TV watching and seems to enjoy watching Friends with mommy. Her days are rough so sleep is still essential! P visited the zoo for the first time and had a couple close encounters with the animals. She also decided to roll over from back to front and spins around in her crib now. Oh goodness! She will also put her head on the ground, get up on her knees, and pushes off with her feet and moves forward. I call it her inchworm move and I am NOT ready for it!! Playtime has become much more fun! She was introduced to mommy's first doll, Lolly, and she thinks she's sorta cool. She loves to stare at herself in her mirror... why wouldn't she?! And chillin' in her swing has become more of a "Can I fall out of my swing before mom notices?" type of thing. Her most recent thing is making the extreme pouty lip and breathing really loud through her nose at the same time. 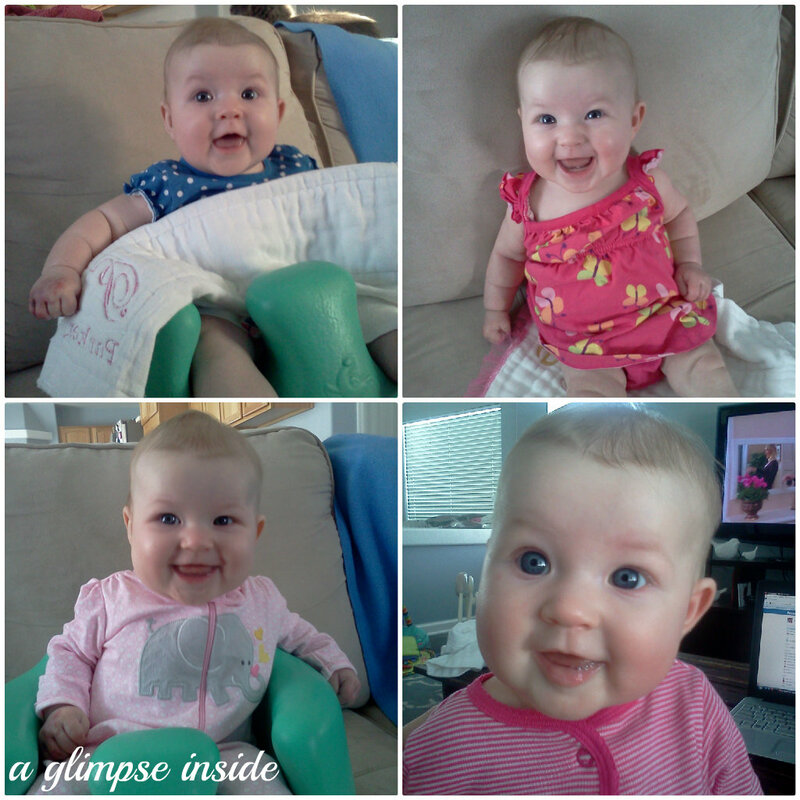 And of course all month long she was a happy, smiley baby like always! Can't wait to see what month 4 has in store for us! Oh My I could eat her up! How cute! Nice way to celebrate! Growing like a weed! She just looks like such a happy baby, Allison. Love these updates! She's adorable. Love the photos with her hands behind her head laying on her back - so cute. 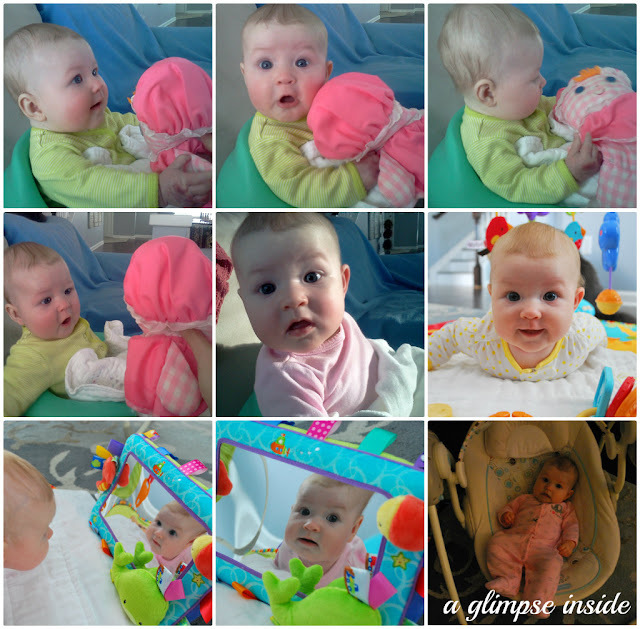 Can't believe she is growing up so quickly. My little guy is 6 months now. Rolling everywhere and sitting up great. Sounds like she may be inching along more and more. What a doll! Love the playmat...what brand is it? Thanks! It is a fisher price. I got it at Babies R Us.